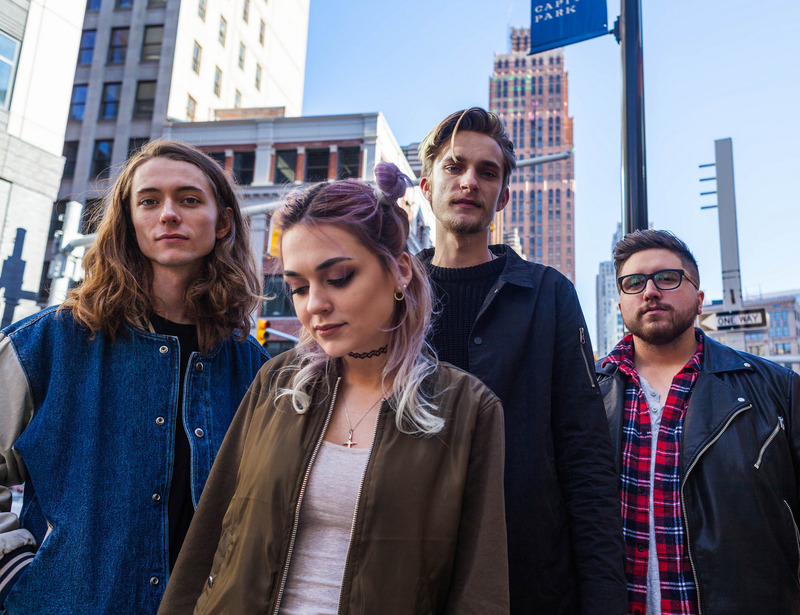 DETROIT INDIE ROCK BAND LILAC LUNGS DISCUSS THEIR FULL-LENGTH ALBUM, ‘EVENTIDE’ AND MORE! 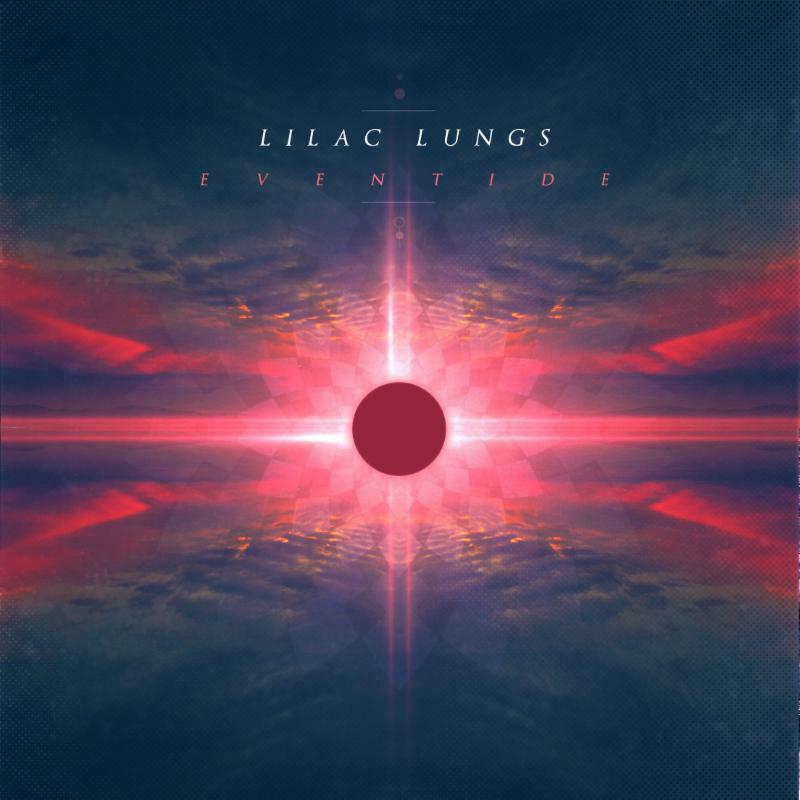 On May 12th, the indie rockers Lilac Lungs released their debut full-length album, Eventide. 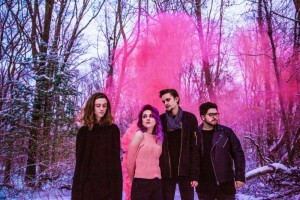 Recorded by Lee Albrecht at Lee Albrecht Studios, Eventide is a 10-track roller coaster of emotions that gets personal with the listener while highlighting the band’s ambient indie rock sound. The most exciting part about 2016 was creating this new album for sure. It just encapsulates everything that has been on our minds for the past 6 months. Along with that comes our album release show, which is happening May 12th at the Crofoot Ballroom. Pretty much all of our focus has been on this release, and everything that comes with it. We’ve worked so hard for this release, spending sleepless night after sleepless night making sure that everything is perfect for it. It’s coming up fairly quickly, and we couldn’t be more excited about it. Pretty much ever since we could all think for ourselves as humans we all four wanted to be musicians. Haha. Along the way, life gets in the way of course, some of us even went to college for something completely different than music, but shortly after realized that it was music that made us who we are. We’ve all been in multiple bands and projects, and ever since we started Lilac Lungs we knew that it was going to be our last real shot at being in a “successful” band. From the beginning, we’ve all been on the same page about working our butts off to make this dream career of ours come true. John and Matt have known each other since 3rd grade (or something), so they’ve always been friends, and when it came time to choose a drummer for LL it was an obvious choice who we wanted to ask, we’re just super lucky that he said yes to our offer…haha. Terry came in a bit later after deciding that we definitely needed live bass for our shows, and after playing together we instantly knew that we created a family, and that no one was interchangeable from that point on. Haha! Oh gosh… When John and I (Emily) first started this band together, we were torn between what we should call this… thing! We were trying to do. When we first were wrestling with this, John didn’t have wifi at his house so we would go and sit at a McDonald’s for 5+ hours and search for inspiration. A few weeks later, we were sitting together and out of the blue, it just came to us. LILAC LUNGS. As cheesy as it sounds, It was almost as if it were meant to come to us. It didn’t feel forced. 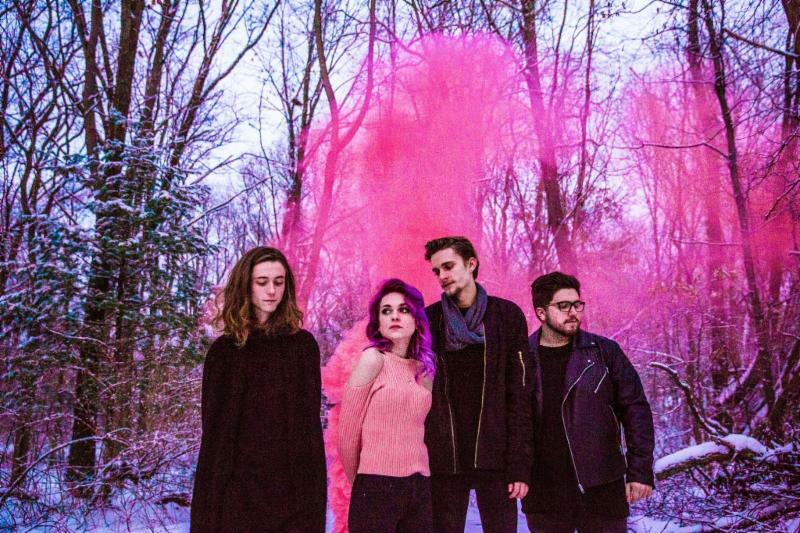 You recently released your debut full-length album, “Eventide.” What does that feel like? How long did it take to put this collection together? Did anything surprise you about the whole process at all? It’s an almost surreal feeling. All of us in the band have never had a full length outside of this band, so this truly is our ‘First Album’. It is very special. It took us around 5 months to complete fully. From recording to revisions. What took us by surprise (in a very great way) was that our producer Lee Albrecht is primarily a Metal producer, we were the first pop band to work with him, so the final outcome of all the mixes is beyond all of our expectations. We are very pleased with every single song. I love the idea that you hope to create a safe space for the listener with “Eventide.” Can you elaborate on this? What was the inspiration for these songs? When I think of the times that are most vulnerable, it always relates back to the night time, which ‘Eventide’ is an uncommon synonym for evening. The album artwork itself is a never ending sunset, and it symbolizes to me that these strong and deep emotions in these songs can rest here peacefully. These feelings we are experiencing are always overbearing in the night time, but nowhere lost in the peaceful sunset. I just picture it as a resting place that I would even love to get lost in. Can you talk about putting the video for “Next to Nothing” together? How creatively involved were you all with it? Our video producer’s name is Ned Ingalls…and he’s a genius. We plug his name every opportunity that we get because of how much we believe in his art and ability. It was definitely a collaboration process amongst the band and Ned. Ned is one of the most creative people that we’ve ever met, so it’s VERY easy to come up with some fun and interesting ideas for us to try out. Every time we work with him, it feels like we’re pushing both our, and his limits as artists. Which is one-hundred percent an amazing thing. It makes for such an interesting theme for a video every time. It’s like a snowball effect when working with Ned…someone comes up with an idea, and then that sparks a whole other world of cool ideas/opportunities. We’ve never really acted, but it is important to us that we were the ones acting in our videos because we know the emotion the song is trying to convey. It’s a cool concept, creating a song and recording it, and then getting to add more art to the song you’ve already created by making a video for it. It’s very interesting watching our art grow and develop like that. This group has gotten to perform a bunch and open for a lot of high-profile acts so I’m curious to know what’s been a favorite show of yours in the past? What do you think makes for an ideal performance for this group? We played a festival in Michigan last year called Arts, Beats, n’ Eats Festival playing alongside JR JR, and Joan Jett actually played the night before us. That was a super humbling experience for us, we actually had our own trailer to go hang out in before and after the show which was ridiculous, and made us feel cooler than what we actually are. An ideal performance is always when the audience is having a great time and is a part of the experience. We love connecting and being a part of it with them. Do you have plans to tour this summer? Or do you plan on attending a lot of shows and festivals as fans? We definitely have plans to tour this summer, those dates will be posted very soon so keep an eye out for those dates and locations, we’d love to see you at a show! We plan on focusing on touring and playing as many festivals as we can. We’ve never toured as a band, so getting out to different markets/states is a clear next step for us. We also thoroughly enjoy playing the festivals in Michigan, they are so much fun, and a great way to play for people that wouldn’t necessarily come to a show of ours at a music venue. Who are some of your favorite artists? Who would you all to work with in the future? What would be a dream collaboration for each of you and Lilac Lungs? We love all types of artist, new and old. Right now, we really have been inspired by twenty one pilots, Jon Bellion, and tame impala. We would love to collaborate with all of them! We just want to be the band… the friends… you needed growing up. We want to give everyone who hears our music a sense of hope, but also sing about things they will relate too, because we as a band have all gone through it too. We want you to be open with yourself and know that their is a resting place for these feelings. Leave them here in this album. Thank you everyone who supports us for checking this out and reading all of our answers. For those who haven’t heard of us yet, please take a listen to our album ‘Eventide’ and become a part of this cycle with us! An Interview With The LA-Based Duo PERIDOT On The Band’s Formation, Their Debut EP and More! An Interview With The New York-Based Folk-Pop Duo, HANNAH AND MAGGIE!